Grace Vandendool's thorough approach to keyboard theory offers students easy-to-understand lessons and plenty of reinforcement activities. The progressive Preparatory Series and Theory Series include visual aids that strengthen the connection between theory and practice, laying the groundwork for success in the study of harmony. For intermediate to late-intermediate level students, this series enriches the study of piano by clearly explaining the building blocks of music. Students learn the basic elements of music theory, with concepts organized into three progressive levels with Answer books for Intermediate and Advanced. 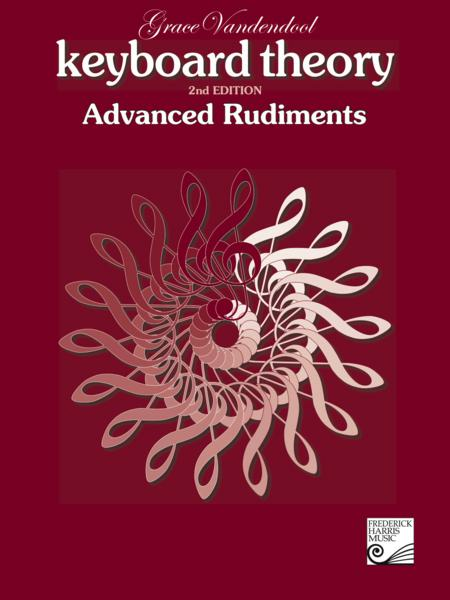 Advanced Rudiments addresses enharmonic notes and scales;C clefs; tetrachords;Contemporary music;compound intervals;augmented and diminished triads; dominant and diminished7th chords;writing cadences in keyboard style;hybrid time;transpositing for orchestral instruments;ornaments; common terms and signs; and analysis. By Julie Mcintosh Johnson. For piano. Basics of Keyboard Theory. Level: Level III (early intermediate). Workbook. Published by J. Johnson Music Publications. By Julie Mcintosh Johnson. For piano. Basics of Keyboard Theory. Level: Level II (advanced beginner). Workbook. Published by J. Johnson Music Publications. By Julie Mcintosh Johnson. For piano. Basics of Keyboard Theory. Level: Level VIII (early advanced). Workbook. Published by J. Johnson Music Publications. By Julie Mcintosh Johnson. For piano. 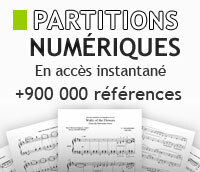 Basics of Keyboard Theory. Level: Level V (intermediate). Workbook. Published by J. Johnson Music Publications. By Julie Mcintosh Johnson. For piano. Basics of Keyboard Theory. Level: Level I (beginner). Workbook. Published by J. Johnson Music Publications. By Julie Mcintosh Johnson. For piano. Basics of Keyboard Theory. Level: Level VII (early advanced). Workbook. Published by J. Johnson Music Publications. By Julie Mcintosh Johnson. For piano. Basics of Keyboard Theory. Level: Level VI (late intermediate). Workbook. Published by J. Johnson Music Publications. By Julie Mcintosh Johnson. For piano. Basics of Keyboard Theory. Level: Level IV (intermediate). Workbook. Published by J. Johnson Music Publications. By Julie Mcintosh Johnson. For piano. Basics of Keyboard Theory. Level: Level IX (advanced). Workbook. Published by J. Johnson Music Publications. By Julie Mcintosh Johnson. For piano. Basics of Keyboard Theory. Level: Preparatory Level (beginner). Workbook. Published by J. Johnson Music Publications. By Grace Vandendool. Theory. Preparatory Rudiments. Level: Preparatory Theory. Book. 96 pages. Published by The Frederick Harris Music Company. By Grace Vandendool. Theory. Basic Rudiments. Level: Preliminary Rudiments. Book. 149 pages. Published by The Frederick Harris Music Company. By Julie Mcintosh Johnson. For piano. Basics of Keyboard Theory. Level: Preparatory - Level X. Answer book. Published by J. Johnson Music Publications. For Piano. Piano Theory Supplement. Keyboard Theory Learning Wrap-Ups. 1 pages. Published by Learning Wrap-Ups. By David Barrett and Steve Czarnecki. For Keyboard (Piano). Methods. School of Blues. Blues. Level: Beginning. Book/CD Set. Size 8.75x11.75. 48 pages. Published by Mel Bay Publications, Inc.
By Julie Mcintosh Johnson, Nancy Plourde. For piano. Level: Level III -Level IV. CD-Rom. Published by PBJ Music Publications.